submitted for the latest Shoot to Serve assignments! While praise may make you FEEL better....critique MAKES you better! 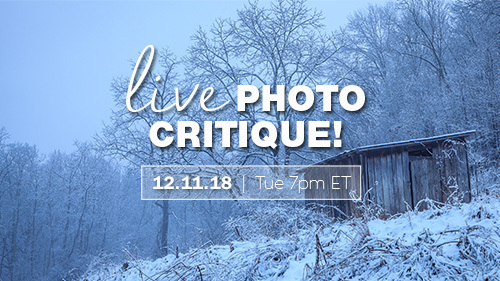 Once winning photos have been chosen for the running Shoot to Serve assignments, we'll talk about why they won during this live webinar! Why were the winning shots chosen? Why were the other shots not chosen? How could each shot be improved? Critique is one of the best ways to becoming a better photographer!